Is your Microsoft Desktop/Server about to expire? cyber security and IT Training. Your organisation is in safe hands under the watchful eye of our qualified team. As a result, we’ve been supporting organisations across Wales and the UK for many years. Maintain a modern, productive and secure workplace with our managed IT support. IT is a critical business function that requires continual monitoring and support. Maximise cloud computing in your organisation with our trusted cloud services. It enables flexible and collaborative working to boost productivity. Revolutionise your telecommunications with hosted VoIP solutions, benefiting your employees and client relationships. Solve problems in your business and boost productivity in the workplace with our customised software development services. Industry leading IT infrastructure solutions to improve, innovate and transform your business. Modern work environments rely on agile and flexible and solutions. When disaster strikes our trusted disaster recovery service is a lifeline for your business. Disaster recovery solutions are essential to building a secure workplace. To secure your workplace and protect your network we provide a proactive IT security service. Cyber threats are a danger to businesses of all sizes, across all sectors. We are an IT company who deliver a full-cycle service which includes IT Training. We provide a suite of courses in a range of IT platforms and popular IT applications. Should I clear my browsing history? How do i do it? Clearing your internet history and browsing history is a great way to improve your PC’s efficiency as well as protecting your data. Do you get bombarded by spam emails from the same sender? Use this quick tip to block the sender and remove the messages from your inbox completely! Faster internet doesn’t need to be a dream! Markes International manufacture laboratory equipment and operate across Europe and USA. Read how managed IT support worked for them. have been operating since 1873 and are based in Newport, South Wales. Learn how offsite backup and managed IT support improved their business. Templeton are a residential and commercial LPA company based in Cardiff, South Wales. Hear how disaster recovery, IT support and cyber security helped their workflow. 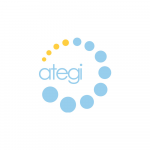 ategi are based in Wales and the UK, with offices in Cardiff, Pontypridd, Saunderton and Hereford. Find out why managed IT support and security and helped them.